Distinguishing Characteristics Caucasian female. Blonde hair, blue eyes. Deborah has a scar on her abdomen. Her nickname is Debbie and some accounts spell her name "Debora." 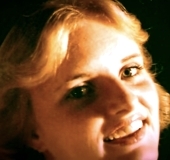 Deborah was last seen by her husband, Marvin Gail Owens, at their residence in the 5300 block of Crestridge Drive in Oroville, California at 8:30 a.m. on November 19, 1978. She has never been heard from again. She had a history of dropping out of sight, but she was never away for very long and always kept in touch with her two daughters. Later, Marvin told people she had been found safe; this was untrue. The police were under the impression that Deborah had been located and it wasn't until ten years after her disappearance that her family contacted them and told them otherwise. Deborah never took off her wedding rings and she had been seen wearing them shortly before she disappeared. In 1989, when the police got a search warrant for Marvin's residence, they found the rings inside. They also located a pair of roller skates he said she had taken with her when she vanished. Marvin moved to Ogallala, Nebraska after his wife's disappearance; a photo of him is posted with this case summary. In February 2015, he was arrested and charged with Deborah's murder. Their marriage had been troubled and he had long been a suspect in her disappearance. 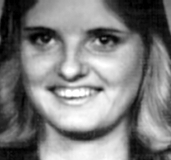 Authorities looked into the possibility that he was involved in the case of Essie Hiett, who vanished from Oroville in February 1978. Deborah and Hiett had some mutual friends and they disappeared in the same year. Marvin was eventually ruled out as a suspect in Hiett's case. In mid-March 2015, he pleaded guilty to voluntary manslaughter, admitting he "snapped" and strangled Deborah to death during an argument. He was sentenced to four years in prison, the maximum term possible for voluntary manslaughter in 1978. He stated he buried her body in a shallow grave in the Oroville Wildlife Area. Four major excavations have turned up no evidence, however. Deborah has never been found; Marvin couldn't pinpoint the exact spot where he'd buried her. Foul play is suspected due to the circumstances involved. Updated 6 times since October 12, 2004. Last updated December 13, 2018; five pictures added.